The health and safety of every student at the university is of utmost importance. The university recognizes that students who have been drinking and/or using drugs (whether such use is voluntary or involuntary) at the time that prohibited conduct under these procedures occurs may be hesitant to report incidents due to fear of potential consequences for their own conduct. The university strongly encourages students to report such prohibited conduct. A student bystander or complainant acting in good faith who discloses any incident of prohibited conduct under these procedures to a Cornell official or to law enforcement shall not be subject to action under the university’s Campus Code of Conduct for violation of alcohol and/or drug use occurring at or near the time of the commission of the prohibited conduct. 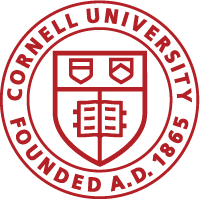 While no disciplinary action will be taken, Cornell reserves the right to take steps necessary to address health and safety concerns for the individual and the community, as well as the right to report truthfully to licensing bodies.